LiFi – Light Fidelity is a bidirectional, high-speed and fully networked wireless communication technology similar to Wi-Fi. The term was coined by Professor Harald Haas (who authored this article) and is a form of visible light communication and a subset of optical wireless communication. LiFi provides a completely new layer of wireless connectivity within existing radio frequency (RF) wireless networks. LiFi is a disruptive technology that is poised to impact a large number of industries, writes Harald Haas, Professor of Mobile Communications at the University of Edinburgh and Director of the LiFi Research and Development Centre. LiFi can unlock the Internet of Things (IoT), drive Industry 4.0 applications, enable ‘Light as a Service’ (LaaS) in the lighting industry, contribute to 5G and 6G cellular communications, enable new intelligent transport systems, enhance road safety when there are more and more driverless cars, create new cyber-secure wireless networks, and enable new ways of health monitoring of aging societies, and offer new solutions to close the digital divide. At the University of Edinburgh, the unique LiFi Research and Development Centre is developing high ‘Technical Readiness Level’ LiFi platforms that will accelerate the industrial uptake of LiFi technologies in all of these industrial sectors. This is achieved through strategic industrial partnerships and collaborations as well as licensing models of a rapidly growing patent portfolio. The Centre will help seed the LiFi market by providing platforms that can be used to establish the commercial viability of novel LiFi technologies. It will catalyse an eco-system of unique LiFi technologies and applications. For example, I can already see an army of App developers for applications that run on future light bulbs. Thirteen years ago we started to look into alternative solutions to radio frequency (RF) communications for delivering wireless data. This curiosity driven research was motivated by the fact that the radio frequency spectrum is limited, and if wireless data services become very successful, which they have, it would be obvious that the radio frequency spectrum used for cellular communications would not be sufficient. It has always been difficult to identify new RF spectrum as it is a heavily used resource for civil, but also military, radio astronomy and defence applications. At the same time, white high brightness LEDs hit the market. These LEDs are semiconductor devices, which means that the light intensity could be changed very rapidly, a property needed if one would like to use them for high speed data communication. Moreover, by recognising that the light spectrum is part of the electromagnetic spectrum, the same as the RF spectrum, we were intrigued to find out, what data transmission speeds can be achieved with LEDs. We pioneered ‘Orthogonal Frequency Division Multiplexing’ (OFDM), a well-known technique for RF communications, for the use in visible light communications. OFDM has a number of disadvantages in RF communications, which we managed to turn into advantages when we applied it to LEDs given that the light spectrum is 1000 times larger than the entire RF spectrum (if the RF spectrum is the Earth, the light spectrum would be the sun). This has enabled a breakthrough in achievable data rates with standard off-the-shelf LEDs. We started by demonstrating image transmission via desk lamps in 2006 (which has led to the nomination in a book authored by Nobel Laureate, Professor Haensch, 100 Produkte der Zukunf (100 Products of the Future), and later in 2011 the transmission of real-time videos from $3 LED lights at TED Global, where we coined ‘LiFi’ for the first time. In our latest research we have shown that with special light sources it is possible to achieve 100 Gbps. This is about 15 times faster than the fasted Wi-Fi, called WiGig operating in the 60 GHz RF spectrum. We have also created a spin-out company, pureLiFi Limited, to develop the first commercial LiFi wireless networking product based on the technology developed here at the University of Edinburgh. pureLiFi is the only company in the world that delivers true LiFi products. pureLiFi launched their third generation product, LiFi-X, at the Mobile World Congress in Barcelona in February 2016. At the LiFi R&D Centre, we have also pioneered the use of solar cells as energy harvesting devices while at the same time acting as LiFi receivers capable of receiving data streams greater than 10 Mbps from a single panel. This technology could be used to mitigate the digital divide which is a major problem since it creates a barrier for these regions to participate in the rapidly growing data centric21 century economies. 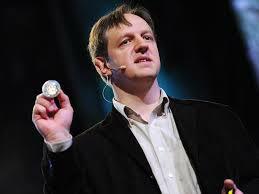 The LiFi solar cell receiver technology was demonstrated for the first time in a TED Global 2015 talk. LiFi could be the catalyst for a single new industry that brings together the lighting industry and the wireless communication industry. LiFi has the potential to create an entire new industry due to its transformative and catalytic effects in a large number of industries as outlined above. Take ‘Smart Cities’ as an example. First, the LED revolution causes radical changes in the lighting industry since the lifespan of an LED light bulb is now longer than the lifespan of a car. This means that old business models become invalid, and the industry is now going through fundamental changes similar to the photography industry when digital photography arrived. This can be witnessed by the fact that Philips are selling their lighting business after 123 years. Lights in the future will need to become smart sensing devices and high speed data communication devices, and they are probably not going to be replaced because they fail, but because there are new functions and applications that light will enable – this will be similar to what we experience with smartphone releases nowadays. In fact, it is very likely that the lighting industry will go through developments similar to the mobile communications industry during the last 25 years. The first mobile phones served one purpose/application: mobile telephony. Now, smartphones serve thousands of applications. The incandescent light bulb has served one application: lighting. In 25 years from now, the LED lightbulb will serve thousands of applications and will be an integral part of the emerging smart cities, smart homes and the IoT, and LaaS will be a dominating theme in the industry which will drive the new business models. LaaS in combination with LiFi will, therefore, provide a business model driven ‘pull’ for the lighting industry to take market shares from what has traditionally been a wireless communications market. Likewise, the wireless communications industry has the opportunity to enter the lighting market by offering products that will provide wireless connectivity through lights. The emerging IoT and 5G (and beyond) combined with LiFi will create a technology driven (since RF spectrum will not be sufficient) ‘push’ for this trend. In the future, we will see a scenario where a mobile operator sells wireless access points and lights at the same time, while similarly, a traditional lighting company will become a wireless operator selling wireless connectivity and lights at the same time – essentially, both will be part of a new eco-system of a larger new single industry. 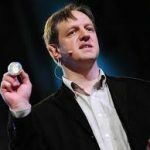 Harald Haas is Professor of Mobile Communications in the University of Edinburgh’s School of Engineering and Director of the LiFi Research and Development Centre. His main research interests are in optical wireless communications, hybrid optical wireless and RF communications, spatial modulation, and interference coordination in wireless networks. He is also co-founder and CSO of pureLiFi Ltd.